For the Theatre Kid in All of Us! Test your Broadway and Theatre knowledge with Broadway Quiz! 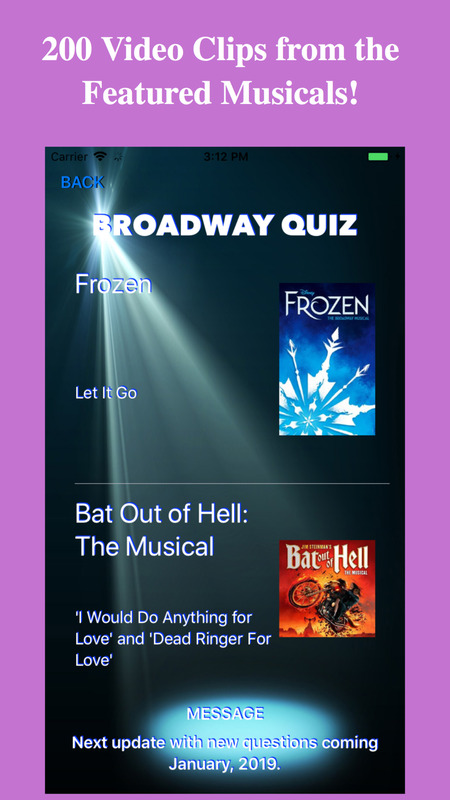 Available exclusively to the App Store, the game is filled with 200 video clips, images and questions about 200 different individual musicals or plays. Choose a decade from the 1940s to today and try to answer all 25 questions about the shows that opened in those years. 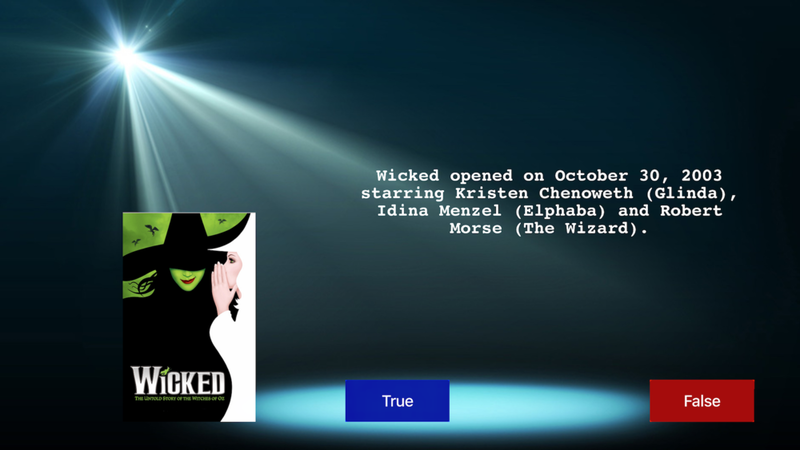 After you give your answer, the game will tell you if you were correct or not as well provide some entertaining information about the play or musical featured in the question. The goal is to find something interesting about a show you may never have even heard of, that you can then go and find out more about it. That... and get as many correct answers as you can. The game has loads of questions from Broadway, the West End and more! Perfect for intermission or sitting around with nothing to do. Broadway Quiz, for the theatre kid in you.